WIN WIN WIN! Lovely Baby Carrier or similar! When Son 2 was born I was determined to be something of an earth mother. Actually that's a lie, I just wanted to make my life as easy as possible knowing that I already had one demanding delightful child to contend with. One of the things I decided to do was to not bother with a double buggy and simply "wear" my new baby wherever I went. It actually frees your arms to hold shopping, changing bags and the hands of would be runaway toddlers. 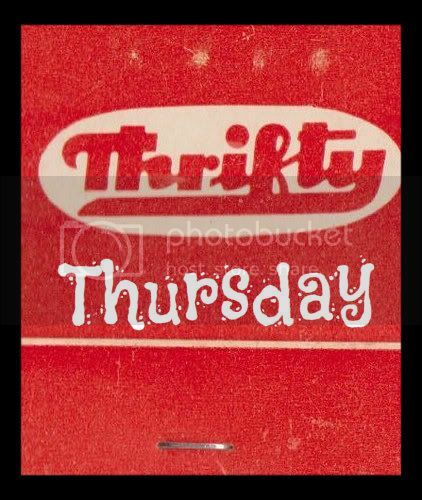 One company I really like and who have been willing participants in my recent Thrifty Thursday post are Sa-Be Baby Wear. YOU! My lovely readers have been offered the fab opportunity of winning your very own baby carrier* courtesy of Sa-Be Baby Wear. First of all, there's that lovely feeling of carrying your baby close to you, feeling them settled and contented as you go about your daily routine; be it shopping, housework or caring for your older children. Your baby will be part of your daily life from day one, and will benefit hugely from this. Having spent 9 months in the security of the womb, feeling the constant movement and warmth, they can now feel secure and relaxed in a similar environment, feeling familiar movements and hearing the wearer's heart beating. They are exactly where they feel the most safe and secure, and can enjoy looking at the world around them in an upright position. Instead of being over stimulated by the activities around them, they spend more time in the quiet alert state of mind, an ideal state of mind in which to learn. *if you are not into baby wearing, or you feel your kiddiwinkles or too old or whatever, you are still welcome to enter and you can choose goodies from the site up to £20 (p&p free). Go to Sa-Be Baby Wear's website and choose your favourite item, leave a comment here and say what it is. Leave your contact email too. Follow my blog by email - top right of this page. Join my blog - again on the right. Follow Sa-Be Baby and Pret-a-Mummy on twitter. Like Sa-Be Baby and Pret-A-Mummy on facebook. Use the buttons below to like, share, google+ etc. Most importantly, don't forget to say in your comment which ones you have done, and PLEASE leave your email address too so I can contact you if you win. The winner will be announced on Sunday 27th May 2012. UK only. I received no financial incentive to run this competition. It would have to be the sa-be baby carrier. I loved carrying my daughter and plan to do the same with our new baby due in October. I think the Gumigem's are lovely!! I have a few pendants like this. It's not something I've heard of or seen before but it's a fabulous idea!! My 7mnth old is obsessed with my necklaces but i'm scared he's going to break it!! I need one of these though I think!! Love love love the Baby blanket / play mat in funky zebra print! Following both on Facebook too!! I'll put your name in the "hat" and we can sort something out! Harry is a professional dribbler & I already have a selection of dribble bibs, but none as fab as these!! These funky dribble bibs are fab!! I will defo be ordering some!! It has to be the Jubilee and team GB dribble bib. With the Jubilee and Olympics taking place shortly it is certainly a must have! http://www.sabebabywear.com/product.php?stid=1&dept=33&pid=157&parent=33 - Love this! My little girl wears lots of navy so it would fit just nicely into her wardrobe! Have a look in the side bar on the right and you click a button which says "join this site". good luck! My favourite is the double sided baby carrier that comes in two colours. I have followed both on twitter my username is @yyesidolikecake. I have followed both on Facebook my name is Isabel O'Brien. I like the double sided sa-be carriers cus you can ring the changes with the colours. I love the Double sided Red spot / Apple Green Carrier, such a funky fabric combination. im also Following Sa-Be Baby and Pret-a-Mummy on twitter and liking Sa-Be Baby and Pret-A-Mummy on facebook. My favourite item on the site is the zebra print baby blanket/playmat - I think it's gorgeous! 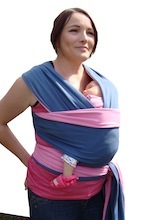 I also love the black/red baby sling. really love the Dalmation print blanket. We tend to have a lot of 'picnics' where Daisy and Piper pretend to make tea and hand out pretend sandwiches and cakes, so the blanket would be perfect. Loving the dribble bibs and the Dalmatian playmat. Liked you on Facebook and liked sa-be-baby to. Pandjtwine@hotmail.co.uk have also shared the link on Facebook too. I publicly +1'd this as Gillian Holmes. Next Bed in a Bag and Olympic Scarf! What I'm Wearing To #Cybher Part Two.